In this week’s episode of the Working with SMEs podcast, co-host Nathan Eckel and I discuss the three knowledge transfer scenarios in which a company will find itself: Best case, worst case and second worst case. Find out which scenario your company is living today, and how to up your game (if you need to!). The worst case scenario is that your employees with your most valuable, critical skill sets have already left and you will never see them again. Ouch! The second worst case scenario is that your employees with your most valuable, critical skills sets have retired but you can get them back – on their own schedule, at their own price. The best case scenario is that you use the last, best years of your most valuable employees’ tenure to capture what they know so you can pass it on. Which reality are you living today? We’d like to hear how you handle the expert knowledge capture in your organization. Please comment below. Today, co-host Nathan Eckel leads the verbal charge in a discussion about the training, learning and communication challenges and opportunities of 5 generations in the workforce. The U.S. Bureau of Labor Statistics tells us that we have 5 generations working and contributing in the workforce until 2020. Listen as Nathan and Peggy discuss the exciting ways that the 5 generations affect corporate culture, communication, learning and knowledge transfer. Gen 2020 – born post-2000 and entering the workforce this year 2017 as they begin to graduate from high school. Welcome to the premier of the Working with SMEs podcast. In this first episode, Nathan Eckel, author of Open Source Instructional Design, joins me as co-host in a discussion on the importance of lifelong learning. Nathan and I recorded a dozen episodes and they will appear in this blog space on Thursdays. In this episode, we discuss the ways that people have become 24/7 learners aided by an all-info, all-the-time culture, and the implications that this kind of learning has for business. Thank you for listening to this edition of the Working with SMEs podcast. Let us know if you like this format in the comment box below. What are your plans for preserving your internal corporate expertise in 2017? 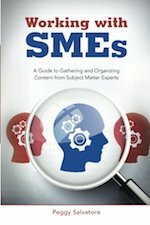 Join us for a public workshop in the Philadelphia area on December 16 based on the book Finding Your SMEs: Capturing Knowledge from Retiring Subject Matter Experts in Your Organization Before They Leave, where we will look at the kinds of expertise you need to capture and how to make those decisions. As you work through cataloguing the knowledge in your company, it is easy to overlook some things either because they are so obvious you forget they are important or because they are so obscure that they may be out of your direct line of sight. In the interest of doing a full knowledge capture in your organization, you can run down a systematic pathway that can reveal items that you might otherwise overlook. I started to assemble a list of places to look and things to consider as you run through a whole-house inventory of your corporate assets.Here is my first pass to help organizations identify corporate competitive advantages and assets. Special circumstances – laws, exceptions, waivers, licenses, etc that allow you to do business in a certain way, in a certain location or under certain conditions. Please feel free to add your input in the comment box below to make additions and even deletions from this list. What would you include? What would you consider irrelevant? Would something like this list be helpful in assembling your corporate knowledge base if you didn’t have one, or if you have one that needs revision? 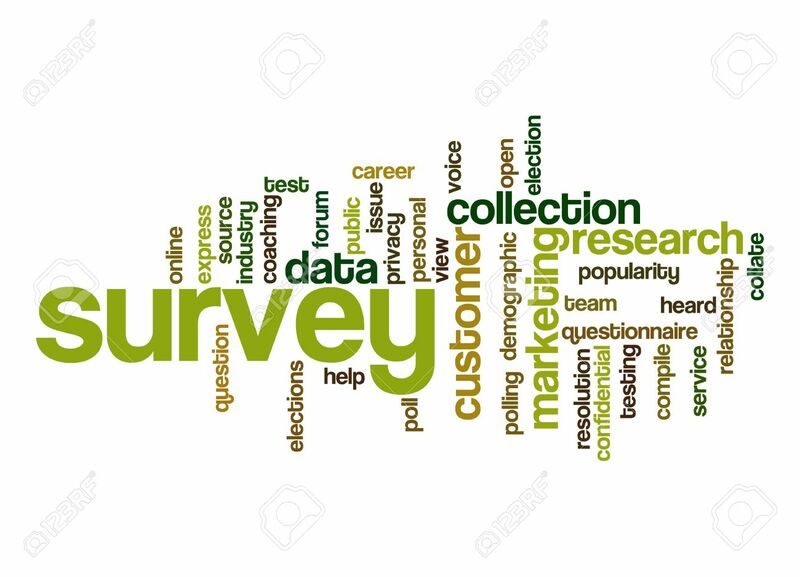 The results of the first annual Working with SMEs survey are in, and here’s what we know about a sampling of my readers. Gender – two thirds are male. Age – spread evenly among the 35 through 65+ categories. Half of you describe yourselves as subject matter experts or technical experts. Readers are spread evenly among government, manufacturing and professional services. Half of you say that your biggest challenge is developing training that achieves behavioral objectives. Other responses included working with subject matter experts and creating training tools and approaches for millennials. The survey got the expected percentage of responses. Therefore, I interpret that the above describes a representative sampling of readers. One of the most interesting responses to me was the fact that half of you say your biggest challenge is developing training that achieves behavioral objectives. I found it interesting, but I am not be surprised. Take the case of very smart subject matter expert who writes his own training. He knows what he wants learners to be able to do and can articulate it. The training breaks down when he comes up with creative activities for a workshop but they don’t directly relate to the articulated goals. The activities lack structure and purpose to move an individual toward competency. A strong instructional design can help a SME turn his goals into actionable steps that lead toward effective behaviors. Going forward, we will devote time talking about how to help SMEs develop training that moves the needle on performance. Thank you to the readers who took the survey! It helps to know what you need from this blog. Annual Survey! Got a minute? Tell me about yourself! 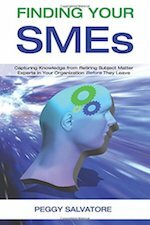 It’s been a year since I began this Working with SMEs newsletter and blog. Since then, I’ve had the opportunity to meet, speak with and work with people who have helped refine this project. In order to learn more about you, I have attached a 5 question survey. 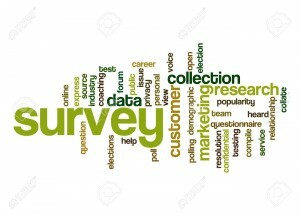 The goal of this survey is to find out more about your role and your biggest challenges so we can address them here. I would greatly appreciate the minute of your time that it will take to answer these 5 brief and very easy questions! I promise…easy peasy! Click here to take the survey now. And many thanks for your time and interest! I gave everyone a copy of my book which is really a starting point to answer that question. As I talk to people online and in person about it, there is a wealth of issues that arise. That is exactly why we have this blog, so we can continue the conversation on a regular basis and learn from each other. One of the attendees yesterday is a consultant who said he has conducted hundreds of subject matter expert interviews. His usual approach is to start collecting information by asking to speak with someone who has been working in the relevant field for five years. When his client says, “No, we want you to talk to so-and-so who has been here for 30 years” he tells them that so-and-so will be his second interview. Why? Quite simply, this seasoned consultant long ago intuited that it was the person who is still learning a subject who knows how to explain it. He saves his interview with the veteran SME after he has mastered a basic comprehension of the subject. This consultant has learned that – in the language of Working with SMEs – that it is the Conscious Competent who is the best interview subject for a trainer or instructional designer who needs to learn a subject from the ground up. It is always great when I get confirmation that the basic concept of the book is sound. Also, I am learning every day that people really need help working with SMEs and so several workshops and another book are in development to assist companies in this sometimes frustrating task. As always, I look forward to your comments below. Here it is, week five of this topic. Time to sum it up in three best practices. When subject matter experts are working with content developers and designers for training, marketing, sales, promotion and public relations, what you know is the most important part of the process. It is the job of the content developer or instructional designer to assemble questions, propose an interview and review schedule, and ask you to fill in information gaps. However, you can have some control of the process itself from your end to help the content developer/writer/instructional designer/trainer to capture your knowledge. Control can be a wonderful thing. Here are a few tips to make sure you have some leverage on the process. Flow of Information – Feel free to correct and amend? If the steps or flow of the information that the writer has outlined for you do not make sense to you, put them in a logical sequence for them. Nobody understands the context of the material better than you, and that includes the developer. Schedule – Be in control of the schedule from your end. If you are working with someone who has difficult meeting their end of the deal, say so and escalate it if you have to. Content – Ultimately, it is your content. If it is right or wrong, you are the final authority. Check, correct and approve. Note: While this blog specifically addresses working with instructional designers, this applies to subject matter experts who work with writers and content developers for any purpose – marketing, sales, you-name-it. Last week, we discussed a few ways you can prepare your instructional designer or writer for creating materials in your area of expertise before you start the writing process. This week, let’s discuss a few good practices to keep the process on track. While it is an instructional designer’s job – or his manager’s job – to assemble questions, propose an interview and review schedule that process may not always happen flawlessly. Even if it does, it helps for you to be aware that you can make contributions to the successful completion of a training program by keeping a few simple rules in mind. Organization of the Material – If there are steps or a process to your information, put them in a logical sequence. Nobody understands the context of the material better than you and that includes the ID. Timeliness – Be available for interviews and do reviews on time. Scheduling Conflicts – Anticipate and avoid scheduling conflicts. This seems obvious, but you will find that sometimes your regular work may directly conflict with meeting your SME obligation. If you are in a job where this can occur, plan for this contingency. For example, ask the ID if you can work ahead on your deadline for your review, comments and sign-offs. The ID, and probably also a graphic designer, computer programmer, project manager and an editor – at the very least – have their work scheduled around your deadline, too. Time is money all the way around. Accuracy – Provide the information requested and double-check to make sure it is correct when you get drafts of the program (and yes, you may receive more than one!). This seems simple enough and may even seem insulting to mention, but it wouldn’t be here if failure to check information didn’t happen. Sign-Offs – Sign off at pre-agreed checkpoints, and make sure you have checked the accuracy of the information when you do. If you are working with a contract ID from outside your company, there is probably a contract in place between the training organization and your company that makes your company responsible for content after you affix your signature to it. It will cost your company if a project goes into overruns for corrections at which time you will meet the infamous Scope Creep. Blind Spots – We all have them. Frequently, we develop blind spots as a result of our success; failures are more likely to call us up short and require us to be careful and thorough. Because you are the SME, let’s assume you’ve met with a lot of success in your life, and that makes you vulnerable to blind spots. Think through the eyes of a novice when you are explaining details to your ID. It is obvious to you to click “enter” after an entry, but it may not be so obvious to the new kid. What are some other best practices you have found for working with content developers?